We understand your need to maximize your efficiency in everything concerning your business. A less than ideal performing heating and cooling system will continue to eat away at your profits unless addressed in a timely manner. With an extensive backround in servicing commercial equipment, we will employ our full resources to design the most efficient service for your need. From sole proprietor to major corporation, we care for you. When a problem occurs which has the potential to disrupt your business, you want experts who really care about their workmanship. There is nothing more frustrating than fixing something more than once. Allow us to custom-design the solution that specifically applies to your business, that values your hard-earned dollar, and that will be done expertly, professionally, and done right - the very first time. 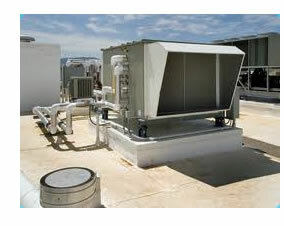 A common type of air conditioning equipment is unitary air conditioners and heat pumps. “Unitary” refers to the fact that all of the components necessary to heat, cool, dehumidify, filter and move air are included in one or more factory-made assemblies. Unitary equipment is available as single package or as split systems. Single package units include all of the necessary functions and components in one package that is installed outside the building. 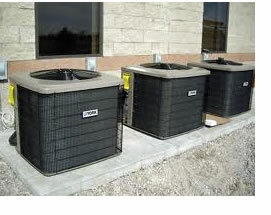 Split systems are made up of an indoor unit (fan and cooling/heating coils) and an outdoor unit (condenser and compressor). 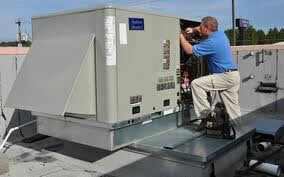 Unitary equipment includes heat pumps and air conditioners with integral or separate gas or electric heating systems. Heat pumps provide both heating and cooling from the same unit and are efficient devices for areas of Florida. Air conditioners provide cooling only and must be supplemented with either an internal electric or gas-heating coil or with a totally stand-alone heating system. Evaporative coolers provide cooling by blowing hot, dry air over a wetted pad and cooling the hot air by the process of evaporation. In doing so, the humidity of the air entering the conditioned space is increased. The most common form of this technology is direct evaporative cooling otherwise known as a “swamp cooler.” Another form is indirect evaporative cooling that eliminates the problem of increasing the humidity level of the air by using a heat exchanger. Indirect/direct systems that combine these two approaches to improve effectiveness while limiting humidity are also available. Due to Florida's harsh climate, evaporative cooling can be a viable low-cost technology in many commercial applications. 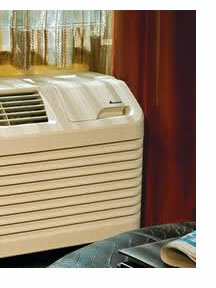 Direct systems use 60 to 80 percent less energy than a heat pump or air conditioner. An air conditioning system includes more than just the air conditioning unit itself. A complete system also includes the air distribution system (ductwork, dampers, grilles and registers), and the temperature and schedule control system. Each of these components makes an important contribution to the performance and efficiency of the system as a whole. In order to operate efficiently, a system needs to be properly sized and installed. Oversized units cost more to operate and do a poor job of comfort control, and poor installation can dramatically reduce the as-installed efficiency of the system. A quality installation will have properly sized ductwork that is sealed with mastic to reduce air leakage to a minimum, balanced airflow throughout the building, and proper refrigerant charge and airflow. The controls are also an integral part of the system and should include programmable thermostats and timers for scheduling of air conditioning equipment or a computerized energy management systems.